Schererville, IN – October 2016 – McColly Real Estate welcomed Pam O’Connor to speak at a recent company meeting at Innsbrook Country Club on Tuesday, October 18th.  Pam O’Connor serves as president and CEO of Chicago-based Leading Real Estate Companies of the World® (LeadingRE.com), a global real estate network with over 550 brokerages firms and 128,000 associates in over 55 countries. Pam has been named one of the top 25 thought leaders by the National Association of Realtors, one of the top 100 most influential people in real estate by Inman News, and the Swanepoel Power 200. She was also recently was recently honored with the Worldwide ERC® Leadership Award. McColly Real Estate is the exclusive local member in Northwest Indiana and the Chicago Southland of LeadingRE for this by invitation-only network. As a member of this highly respected network, McColly can introduce clients to a great agent to help with vacation home or investment real estate anywhere in the country or the world. To find homes locally, nationally or globally, or to learn more about the Leading Real Estate Companies of the World®, visit mccolly.com.